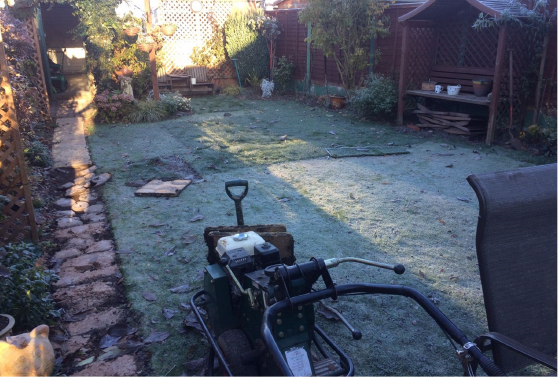 This Client loved their garden but as they were getting a little older they were struggling to maintain it, particularly getting the lawn mower out. 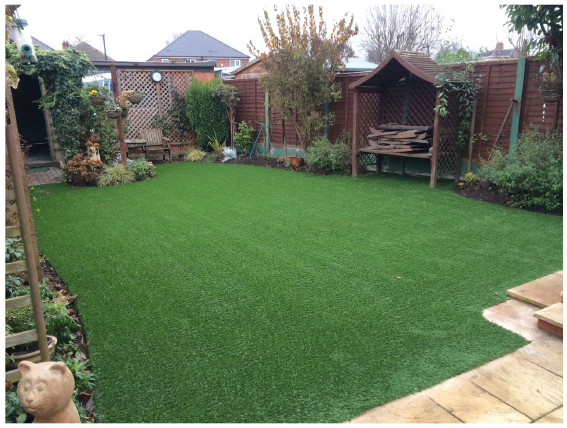 The solution of synthetic grass has enabled them to spend their time looking after the borders and their bushes and flowers. Fully Designed and installed by Great outfloors. Remove Turf and path, digout ground, lay stone, sand and then compact. Pindown membrane and then lay the grass. The grass will need to be brushed with a hard brush to remove leaves and debris.